Is your retirement a sure thing or a maybe? For many couples, retirement can last three or more decades and cost millions. Yet many move blindly into that stage of their lives with minimal planning! 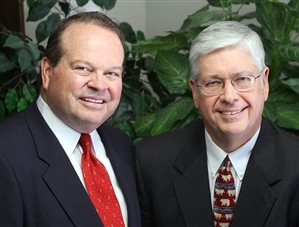 Our investment advisory firm based in Provo, Utah, works with clients to create a retirement free from financial worry. We help create a retirement income stream and we utilize risk management strategies. We attempt to reduce market risk through diversified asset allocation and dynamic management. We also use protected investment products when appropriate. For clients who are nearing retirement age, we also coordinate Social Security claiming strategies to help them achieve the maximum possible income. For the majority of people with whom we meet, Social Security benefits represent one-third to two-thirds of their total retirement income. It only makes sense to consider Social Security benefits as part of the overall retirement income strategy. Redistribute resources because of major life changes. We ease investment anxiety and retirement income worries. Advisory services offered through Strategis Financial Group, Inc., a Registered Investment Advisor. This communication is strictly intended for individuals residing in the state(s) of AZ, CA, FL and UT. No offers may be made or accepted from any resident outside the specific states referenced.